We planned our recent trip around being able to travel, visit and rest on our own schedule, spending at least two nights in each village or city. We figured we’d drive from place to place and then walk or take local tours. We booked a Hertz rental in each country. This worked well mechanically as driving on the left side with a manual transmission just takes a bit of initial terror followed by a low level of “awareness stress” much like driving our motorhome. The problem was the roads, especially those in Ireland. The Irish apparently enjoy the game of varying widths of pavement with no shoulders and little warning for narrow bridges and one and a half lane roads. This was especially hard on my passenger. The first day out we erred in visiting Gendalough and Avoca (Ballykissangel) with our mid-sized Hyundai and tried without success to get a smaller car without driving back to Dublin. By the time we arrived in Galway a week later we decided to not continue further north by car and headed back to Dublin on the M6 for extra nights before resuming our travel to Belfast by train. Driving in Scotland was better and England better still, with far more direction and warning signs. God bless the blue and white arrow “drive here” signs! Conclusion: An experience we can do, but there are definitely more relaxing modes! More on trains, subways, tour buses and walking to come! I did comment on the two most important events in my day, coffee and fish & chips, but there’s more! Everywhere we stayed offered the Full (Irish, Scottish or English) Breakfast, depending on where we were, which consisted universally of eggs (fried or scrambled), rashers of (back) bacon, sausages, baked beans, fried tomatoes and mushrooms. 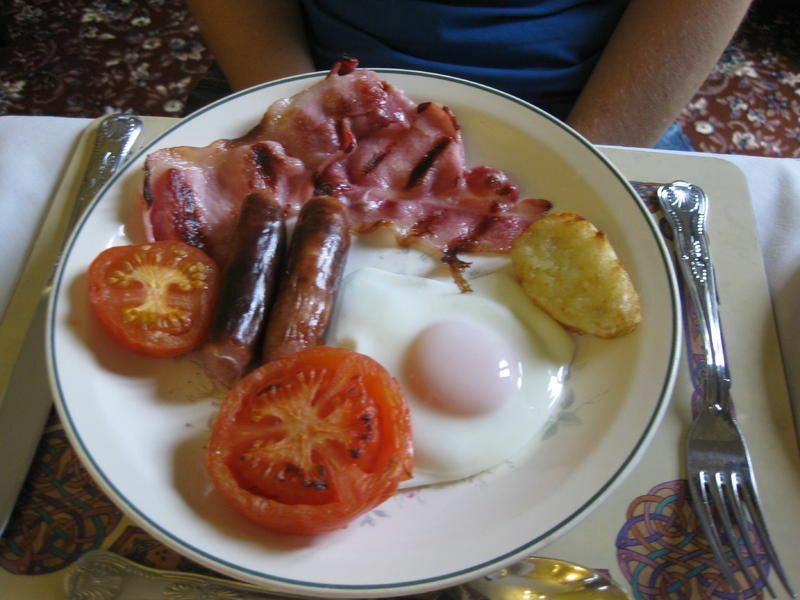 White or black pudding was added, white, brown or Granary toast and porridge was often available. On the side table in the breakfast room were a variety of muesli, juice, small muffins, fruit (usually grapefruit or orange slices, or a mix of apples and some other fruit), cheese and sliced meats. Sometimes all this was in a buffet or ordered from our table. We could select as much of the breakfast as we wanted, and drifted from the Full Breakfast to porridge, fruit and toast toward the end of our trip. Toast was served in a rack, often before or after our main selections, and was barely warm when it arrived at the table. The wonderful exception was at the Corn Mill in Cornwall, where Suzie would slice the small home-made loaf for us and slip it in the toaster! As a jam lover, I also relished her home-made marmalade and raspberry jams. The types of bread above only scratch the surface of what’s available, pardon the pun. We really enjoyed finding a small bakery in the towns we visited and taking fresh delights of all kinds back to our room, where butter and jam were waiting. I am hooked on back bacon, porridge and toast for breakfast. All the boxed “healthy” products in the cupboard are still mostly air and are going away. Sherry has been making the porridge for some time, using steel-cut oats and the slow cooker. Suzie adds spelt to hers, so I went to the Food Coop yesterday and bought flakes to try this week. Costa Coffee, found most everywhere, has a superb porridge, served with cream and honey. Most everything we started our day with was fresh and local. 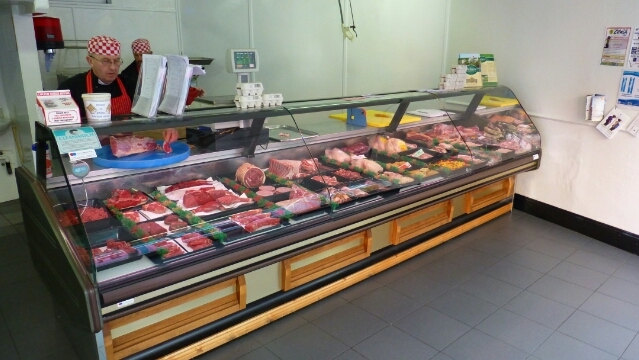 I had eggs and some cheese here tat home which were tasteless, so we’ll be shopping differently! Eating and drinking during our seven weeks in Iceland, Ireland and the UK was a very large part of our overall experience. For those following our trip on Facebook you’ve seen some of the wonderful meals and read my comments. Let me expand a bit. I like fresh dark roast coffee, plain and simple. I order a smooth French Roast from Cafe Mam in Eugene, Oregon and grind my own beans. The Pacific Bold for our pod coffee maker also passes the taste test. I don’t usually like restaurant coffee (except here in Port Townsend) and I’ll order an Americano when Pike Place is the only option at Starbucks. Coffee was variable on our trip. Ireland had the best, often made with a French press at breakfast in both hotels and B&B’s. I could order dark, drip coffee, called “filter coffee,” most of the time. “White coffee” was drip coffee with cream. It went slowly downhill from there. A dark roast was the exception in Scotland and medium roast was the rule in England. So I drank a lot of Americanos. Coffee is not ready at 0600 anywhere we stayed, and we like a cup or two while getting up. We eventually procured some Starbucks Via to tide us over. One admission: I did have a Pike Place drip at the Glasgow airport and I swear the blend in Scotland is different from here and quite drinkable. I am completely ruined from ever eating fish and chips again. As you can see from the picture above, that’s a filet of cod, flaky and light, done in a light ale batter with hand cut “proper chips.” The sauce was usually flavored with capers rather than dill. The green in the small bowl is mushy peas, more often served under the fish. The peas in Ireland were just mushy, but in Scotland and England they were fresh tasting and only partially blended. “Proper chips” are definitely not French fries and sometimes were actually separate sides on the menu. It’ll be really hard to stomach the fish patties that pass for food here, even in Port Townsend! The drive from Glascow airport northwest took us along Loch Lomond and then west into Oban on the coast. Oban is a major ferry port for the islands to the West, including Mull and Iona. We had hoped to visit Iona, site of the monastery founded by Irish saint St Columba, but the flight delay getting to Glascow and the long drive prevented what is an all day visit. We had our laundry done, which leaves far more time for walking and siteseeing than sitting in a laundromat watching your clothes go round and round. Coffee was accompanied by scones with raspberry jam and cream. On holiday one can have dessert at 0900! Dunstaffnage castle outside of Oban was an incredible site. One could sense the presence of both Robert the Bruce and Bonnie Prince Charlie. The main house and kitchen are still extant and I can only be grateful for the coffee maker we have in the morning. The primary roads in Scotland are far easier to drive than in Ireland. A little wider road, curves are a bit smoother and there are far more warning signs. On the other hand, manipulating the stick shift with my left arm requires more attention than I’m use to. We stopped in Fort William for lunch and a stroll down High Street. The shops mostly have the tacky souveniers, but we did score some hoop earrings, something Sherry has been looking for. Four pair for her and one pair for me. Sherry visited the ubiquitous charity shops and found some fun items to bring back. The Highlands are stunning. Our room in Roybridge looks out on the hill to the south with sheep grazing and wisps of clouds going in every direction. There is still snow on the mountain tops. We had porridge this morning that was so good it didn’t require any kind of topping (we’re detoxing a bit from the usual eggs and bacon). The bacon, like Canadian bacon, is really a treat, but not every meal. Looks like a break in the really fine weather we’ve had so far, so perhaps some walking and reading. Holiday doesn’t mean playing tourist all the time. 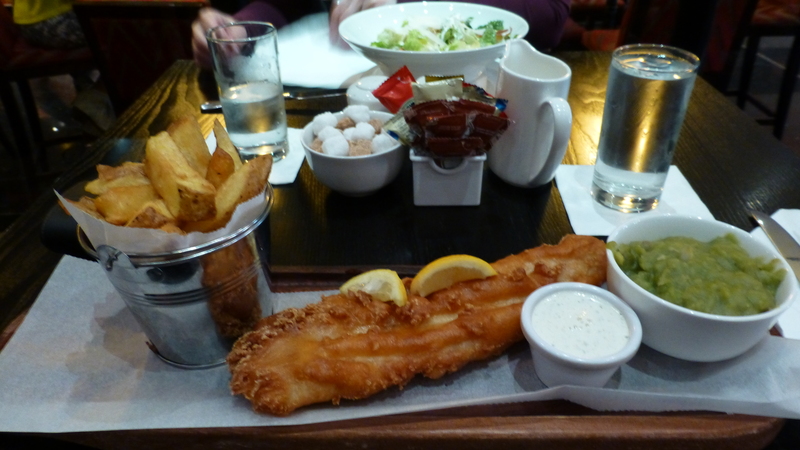 The lodge has a good menu and is appointed far better than the Shelbourne in Dublin. For my non-Facebook friends. Tomorrow we climb aboard the train at Connelly Station for Belfast. We enjoyed another rewarding day, including a cruise on the Liffey. I’ve decided to ignore most current events in favor of so much rich history! My experience with Ireland from America has been that we infantilize Irish history with our St Patrick’s Day celebrations and leprechauns. Today we paid our respects to the men and women who were executed by the British as a result of the 1916 Easter Rising. Not the first Rising or response, reaching back to the Vikings, Normans and then the Scots and the English. The religious and ethnic cleansing of Henry VIII and Oliver Cromwell. Irish dispossessed to make room for the English gentry and Roundhead New Model army. The natural disasters of famine, including the million who died and the million who immigrated during the Great Famine beginning in 1845. I recount this and pay my respects because I am of Scot-Irish descent. Baptized Catholic yet probably a part of the Scots who came to Ulster and wound up second-class to the English and under the same Penal Code as the Catholics. A complex history, but somewhere there is a clue. 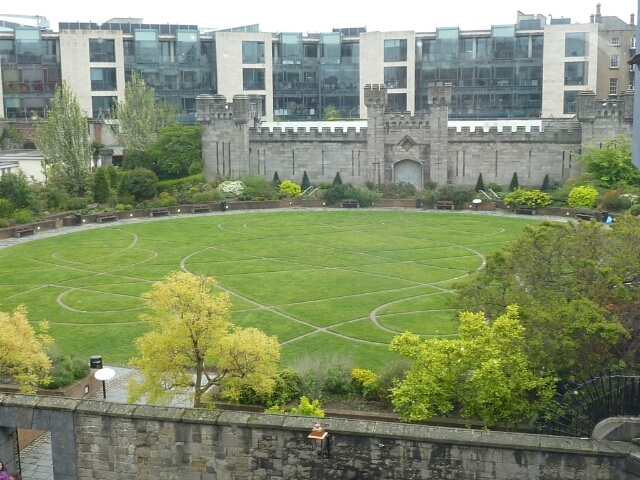 Site of Dubh Linn outside Dublin Castle. Today we visited historic sites we missed when we first came to Dublin: Dublin Castle and site of Dubh Linn, or Black Pool, from which city was named prior to the arrival of the Vikings. We toured Christ Church Cathedral and the 1916 Rising exhibit at the National Museum. We’ve adopted a walking, touring and meal schedule that begins with complementary breakfast. The choices are somewhat limited as the Full Irish Breakfast is the first choice everywhere. Irish bacon is truely wonderful, but not every day. This morning we opted for pancakes (Sherry) and Eggs Benedict (me) at the Shelborne. We nosh before noon with coffee, then have a full meal around three. Back in the room we have tea and cookies. Shopping tomorrow, and arranging for a package to be sent back home! We returned our car rental to Hertz in Dublin after deciding we’d practiced enough on rural Irish roads. Motorways were a delight and narrow city streets doable, but the L, R and even N roads were tedious. Two lanes in theory, but not in practice. 80 to 100 km limits for the natives maybe. We equipped ourselves with the map base for our Garmin and Sygic. We bought a road atlas. Alas, they were not in agreement far too often. Sherry was true navigator! So we decided we’d stay in Dublin three more nights, catching up on the sites we passed up last time. Then to Belfast by train and a total of three nights there. This way I’ll have the chance to take the full Games of Thrones tour by couch and enjoy myself and we can visit the Titanic museum together. Facebook has made it easier to post and run I admit. My apologies. We’re now at the lovely town of Kinsale on the southern coast. I haven’t been posting as frequently as I had thought as our days are full and by the time we walk back to our B&B it’s 2000. 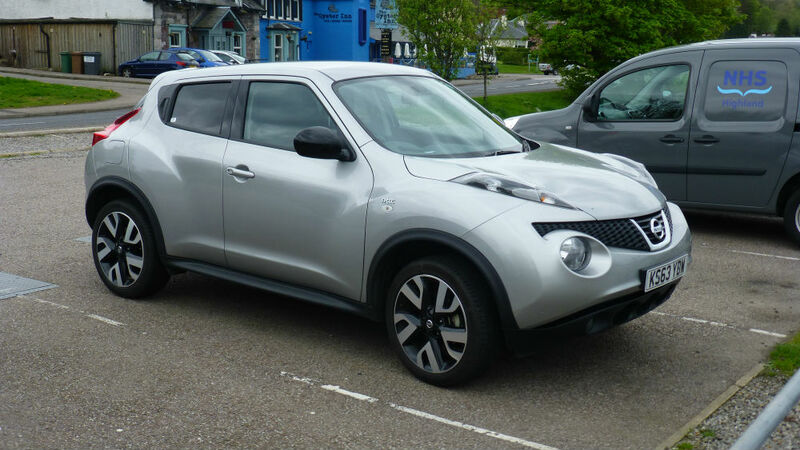 Driving is a bit like the motorhome in that it’s a full-time job on the curving narrow roads. The walking “stroll” yesterday was fun. Notice the red oval: Steve, bless him, is everywhere. 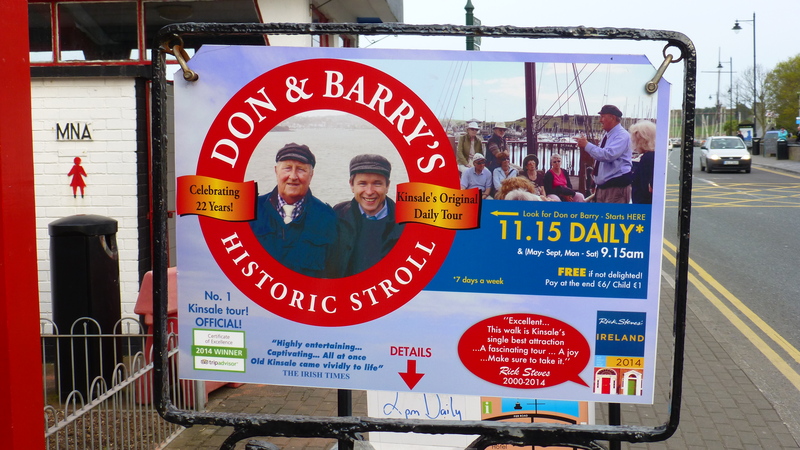 Oldest town in Ireland. 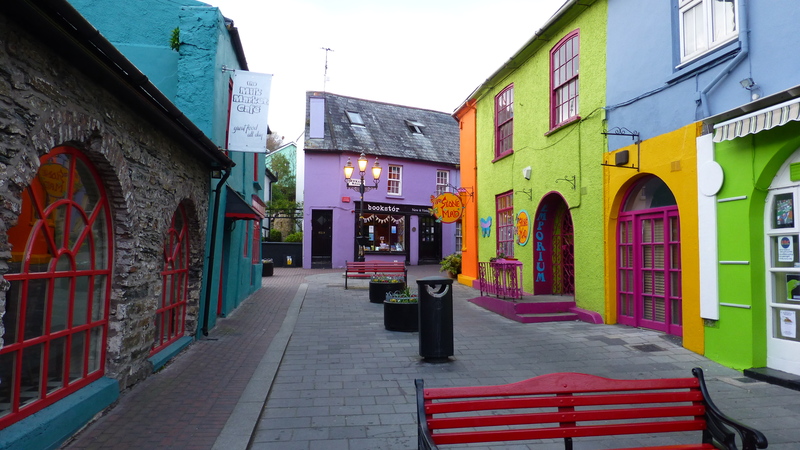 Kinsale competes in the Tidy Towns program where spiffing things up is rewarded. Rested and off to Killarney this morning. Two days and lots of walking. My dream of visiting Dublin began with Edward Rutherford’s Princes of Ireland and now I’m going to begin the Ireland and Diblin series again. We rode one of the hop-on hop-off buses and really enjoyed the commentary and Irish humor. Didn’t know Arthur Guiness had 21 children, for example. Tomorrow I pick up our car hire and we head south to Glendalaugh, Avoca (Ballykissangel), then southwest to Kilkinney. Keep to the left! I finally worked through the glitch in transferring images from camera to tablet to WordPress! We took and afternoon Golden Circle tour with a driver who added a great deal to our appreciation of Iceland and it’s people, from the Bronze Age to today. We visited Gullfos, Geysir, Riff Valley and Althing. Iceland is more than a shooting site for scenes of north of The Wall. Leaving Iceland appears to happen at 0 dark thirty and was snowing. 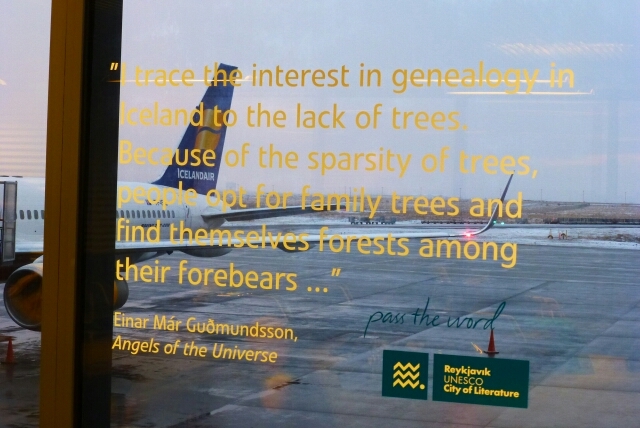 Pictures below include some great Icelandic poetry and humor. On to Dublin! Our trouble is not the over-all absence of smartness but the intractable power of pure stupidity, and no machine, or mind, seems extended enough to cure that.